The No1 Apartments Brno are located within walking distance of the historical district. This hotel in Brno offers travelers easy access to the Trade Fair. The Spilberg Castle is also located within easy reach of the hotel. The No1 Apartments Brno are located near the public bus stops, which span the entire city. Public transit provides guests with easy access to the airport as well as to the many attractions located throughout Brno. 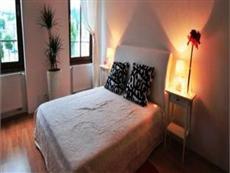 Each of the apartments at the No1 Apartments Brno is fully furnished. Each room offers wireless Internet access as well as a full kitchen. All rooms also include private bathrooms and an array of amenities and comforts. Guests of the No1 Apartments Brno will find that the shopping of the trade fair is only a few steps away. The hotel offers a quite atmosphere, and guests are welcomed with a glass of wine and tickets for public transit. There is also a nearby parking area for guests to use.